Congratulations to the Queen & King of the Central Coast, as Shirley de la Harpe skipped Shaun Addy from The Hills and Carlingford, to a 6 wins plus 68 margin win at Umina Beach Mens Bowling Club. The weekend weather was perfect for bowls with plenty of sunshine, a little breeze, but not too hot. This popular mixed pairs event was full weeks before it started, and attracted teams from as far away as Penrith and Toronto. The runner up was Rob Andersen & Tracy Osbourne with 5 wins plus 26. 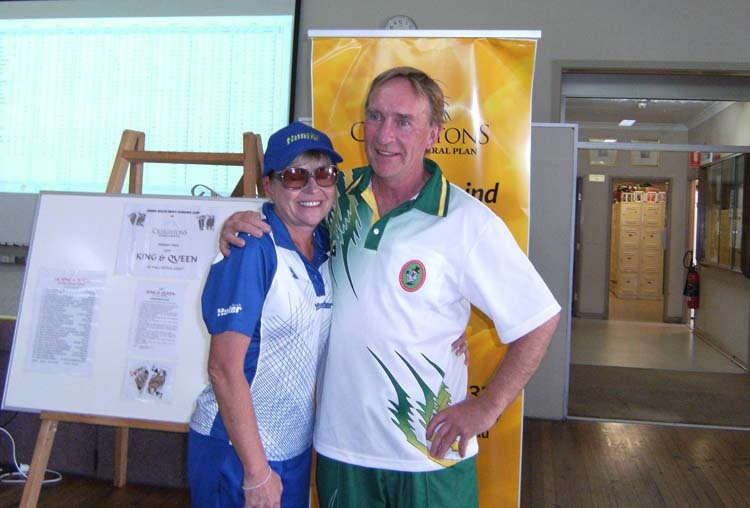 Rob was the only Umina player to make the top 5, whilst Tracy is from nearby Ettalong.